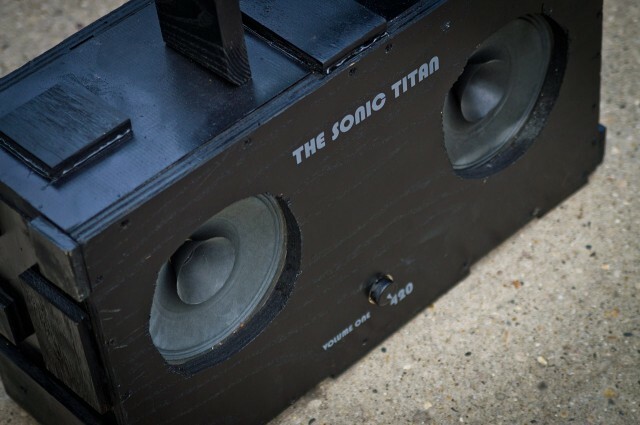 The Sonic Titan is not a “boom box”, but a “doom box”, built for a single purpose: to play the 63 minute long epic masterpiece “Dopesmoker” by Sleep. 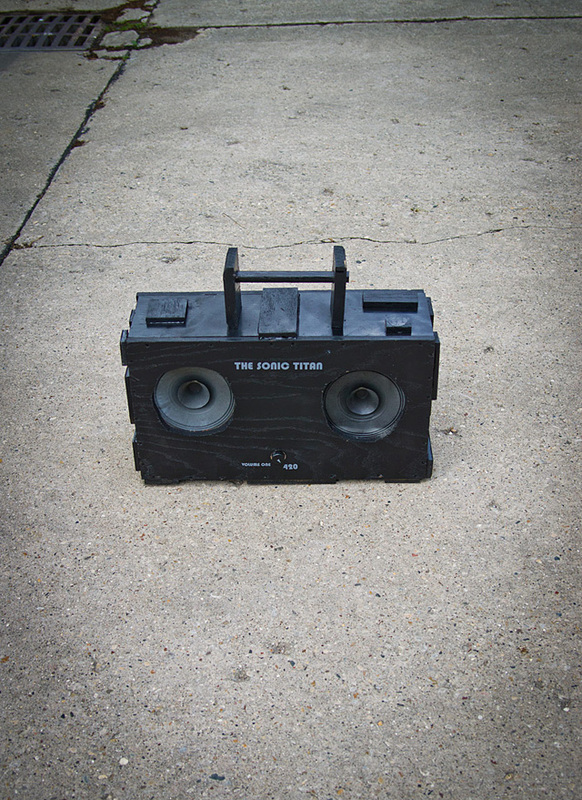 This high(-fi) stereo system was commissioned by the reptile masters to repeat their theme song for all of eternity. 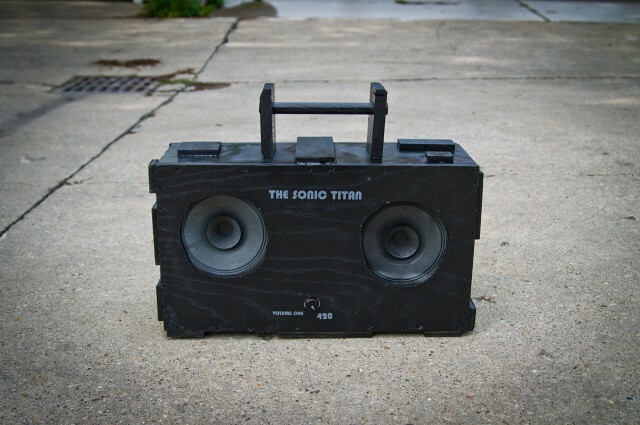 Built from materials able to withstand the rigors of everything from traveling across the desert with a stoner caravan to flying your spaceship into the sun, The Sonic Titan is like a trip to the Holy Mountain in portable form. 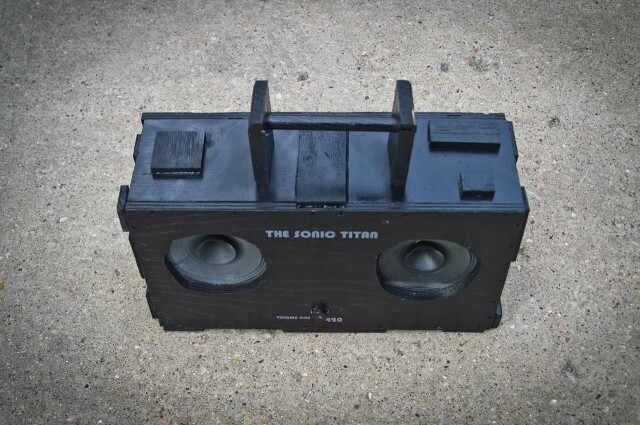 Constructed from scrap wood (primarily from a speaker cabinet found in an alley) The Sonic Titan utilizes the detritus of our society and reforms it into a new object, a heavy black object for a dark world. 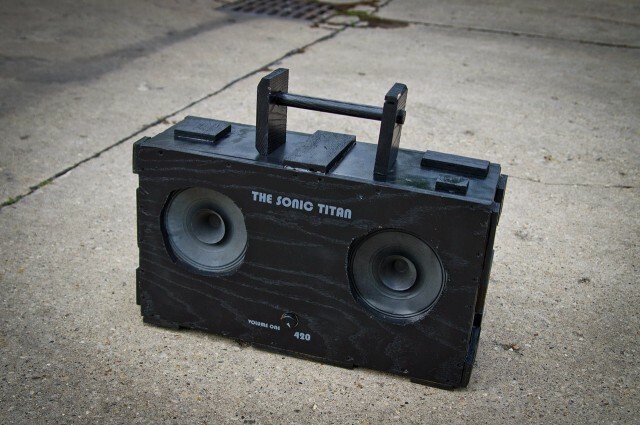 The speakers were found attached to a metal pole by the powerful magnets that allow The Sonic Titan to perform its magnificent aural task. 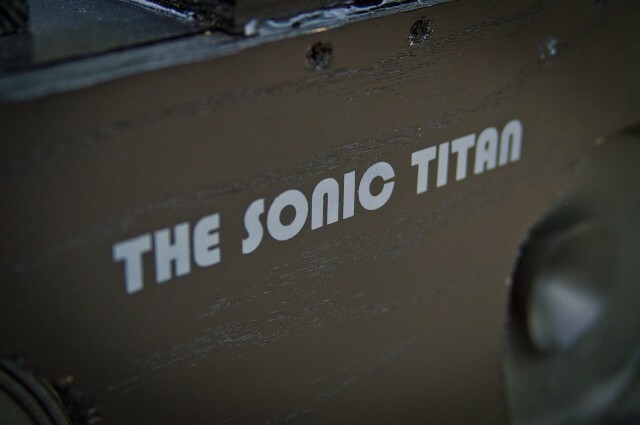 There is only one control interface for The Sonic Titan. 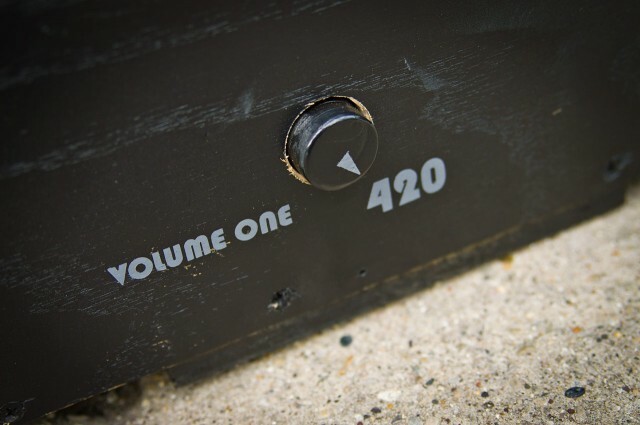 You can alter the volume, changing it from Volume One to 420. No other control is needed. You have no other control.